Info Viz. & Info Arch. For my Evaluation of systems and services class I worked in a team that analyzed the Threadless.com website for it's usability. Threadless is both an e-commerce website and design community where members can submit, critique, and score designs and slogans. 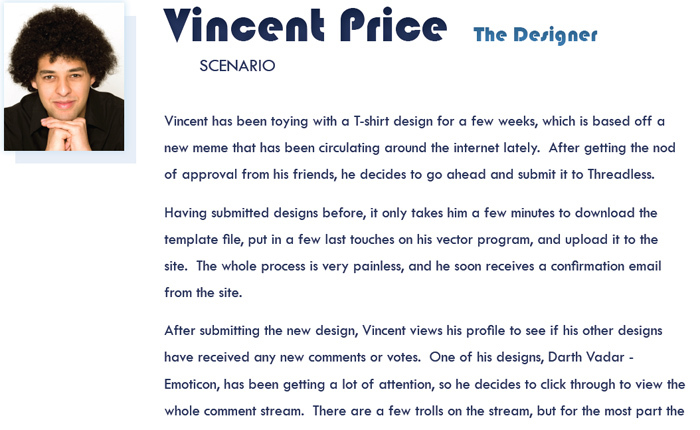 Users vote on submitted designs and those with sufficient votes “win” and are printed in limited quantities on t-shirts, hoodies, and various other products. 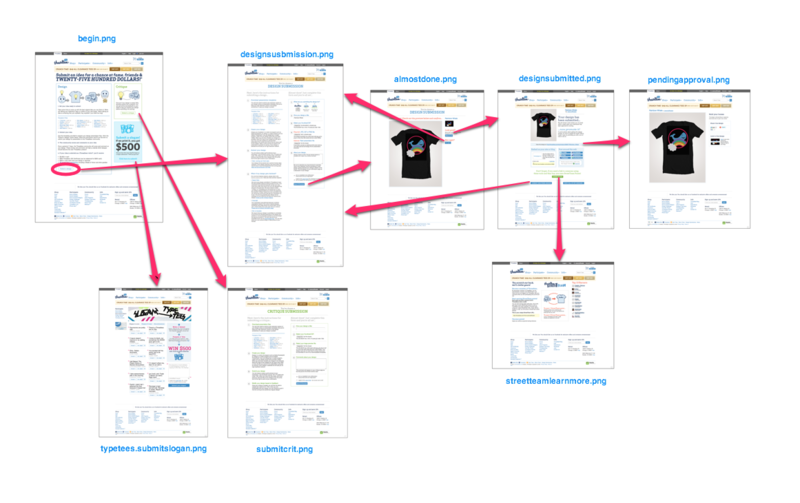 We evaluated Threadless’s interactive website system for its usability and usefulness by using various user experience research techniques. We used Interaction-Map, User interviews, Comparative Analysis, Survey, Heuristic Evaluation and User testing to identify the areas of improvements. Click image for full high-resolution version. 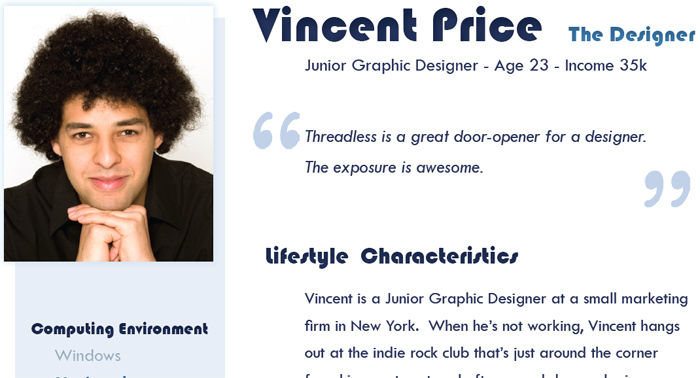 We created 3 Personas and Scenarios and conducted six user interviews. Click image to download Personas, Scenarios and User Interviews report. 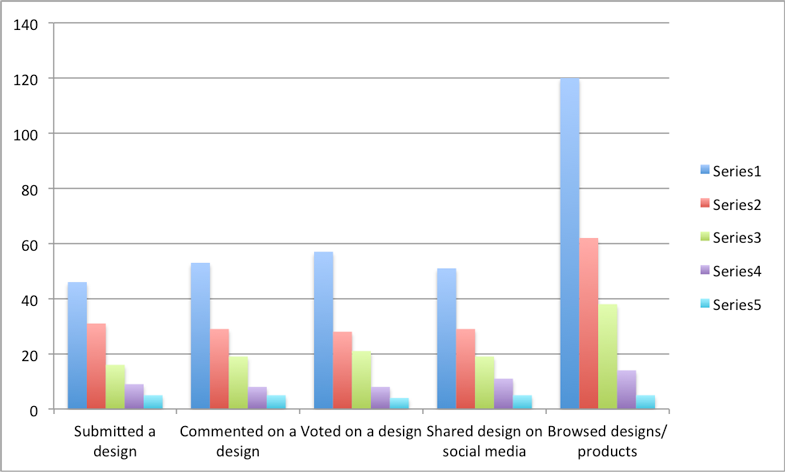 We compared the threadless system with eight other competitors. Click image to download Competitive Analysis report. 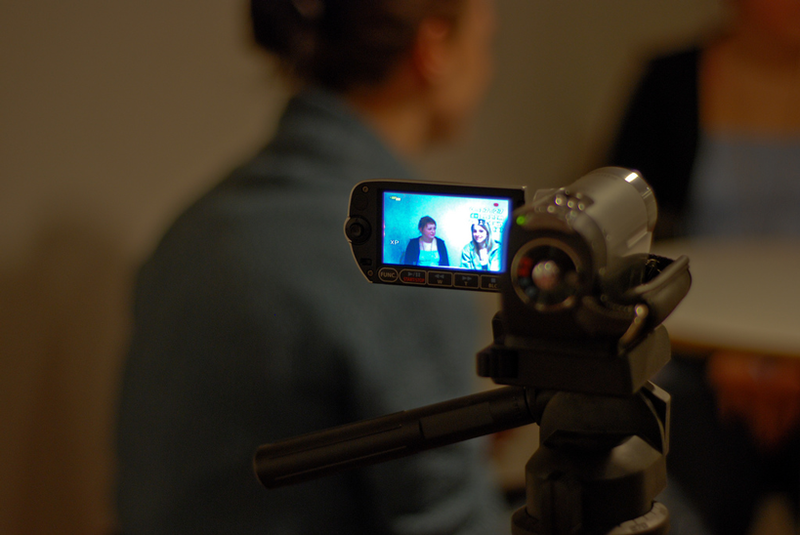 We used Nielsen's heuristics for evaluation and we conducted total six user testing. For each method we analyzed all the data, wrote detailed reports and provided recommendations. Click image to download Heuristic Evaluation report. We found our respondents for the survey by sending a pop-up on the screens of the users. Our survey received 648 responses. We have also collected browser metadata to understand the user demographics. Click image to download Survey report. 1. Are there usability barriers on the Threadless website that inhibit community participation (and where do breakdowns occur)? 2. How easy is it for a new user to connect with the Threadless community? 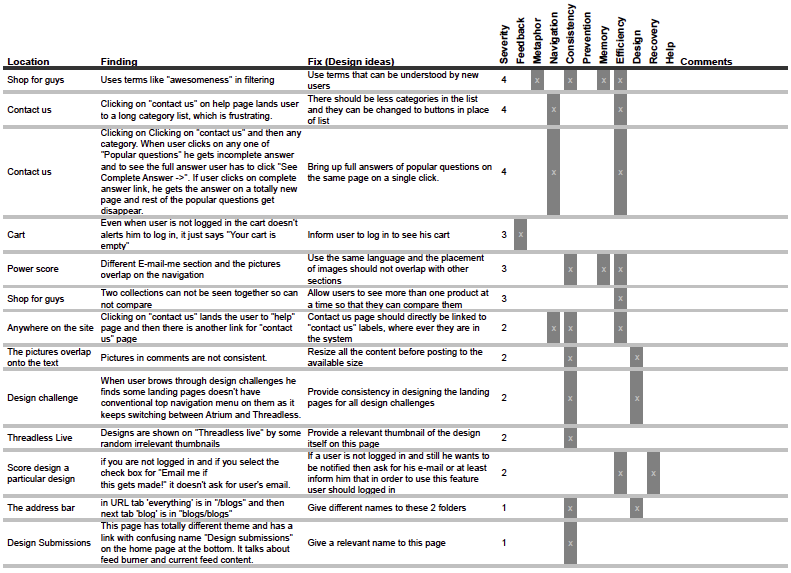 Click image to download Usability Testing report. Apart from various User experience techniques this project gave us an opportunity to develop an objective way of thinking which should be based upon quantitative or qualitative data gathered from reliable sources. We also learned how to identify the silent expectation of users of a system.